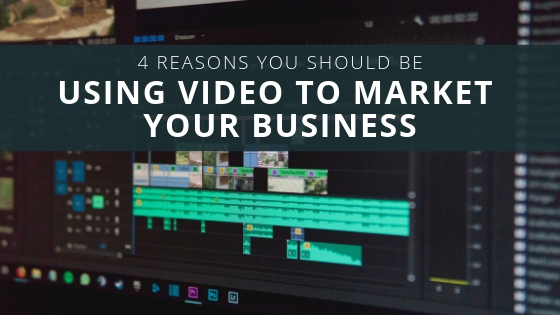 Lisa Laporte highlights the reasons you should be utilizing video to market your business. There are many new ways to market your business in our modern digital age. It is important that you take advantage of all the great tools you have to push your business to the next level. Video marketing is a great way for you to reach potential clients and customers who could be interested in your products and services. While you are going to try to use your videos to sell a product or service, you need to have a story in your video that your audience can follow. People are getting tired of videos that are pushing sales too hard. Instead, you will need to have a video that captivates the viewer to watch until the end. Most people who watch a video will click off of it within the first 10 or 20 seconds. This statistic is why it is important to get your viewers interested right off the bat. Whether you want to show a quick highlight reel right at the beginning of your video or are ready to give the big message right up front, you need to do something that helps your audience get interested early on. When you make your viewers laugh, they are going to be much more likely to share your video. Look at the viral success of Dollar Shave Club. They had a funny video that helped them to become one of the biggest subscription-based companies on the internet today. Without the use of comedy, it would have been difficult for them to push their message to as many viewers. Once you find a form of comedy that works for your audience, it will be easy to repeat these videos and get the results you need. When you have a product or service that you need to educate your customers and clients about, a video can be a great way to achieve this goal. You will be able to load a great deal of information into your video without making your video seem too boring. These educationally charged videos give clients a better understanding of what you are going to be able to provide for them with your products and services.